Just head to Pleasant Park. The last two Showtime challenges in Fortnite: Battle Royale became available this morning—and they’re both pretty simple. The only catch with these two challenges is that you’ll need to complete the second one before attempting the third task. The second challenge asks you to “visit the Showtime venue,” which means you literally just need to land at the big stage in Pleasant Park. 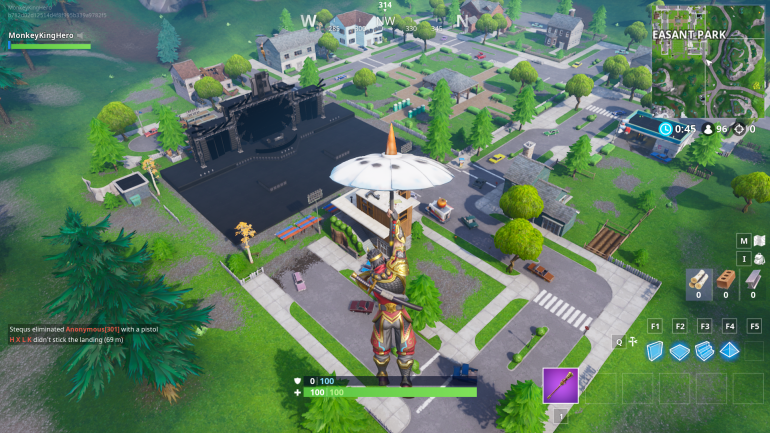 The Showtime venue is in Pleasant Park where the soccer field usually is. Just land there and you’ll complete the second challenge. 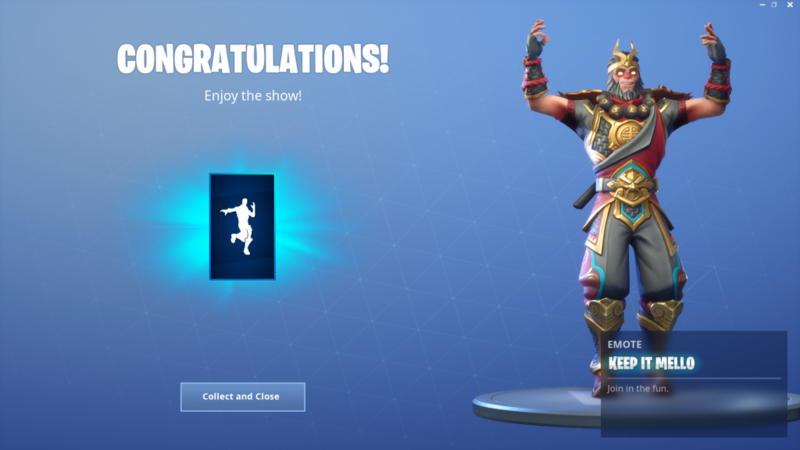 Your reward for finishing this simple task is the Keep it Mello emote, which you’ll need for the third and final Showtime challenge.